Call 911 for emergencies (emergencies include, but are not limited to: crimes in progress, fire and incidents which pose a threat to you and/or others). 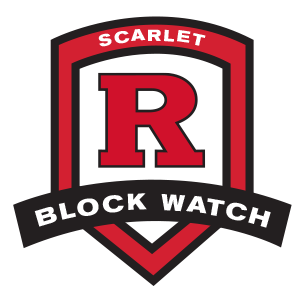 Call (732)745-5200 (New Brunswick Police Department or (848) 932-7211 (Rutgers University Police Department) for non-emergencies (non-emergencies include crimes which have already occurred, suspicious behavior, etc.). Please do not involve yourself in addressing incidents. Report issues and allow law enforcement and other responding authorities to handle the response. Be observant of who and what is around you. Minimize distractions like cell phones and iPods. Reduce your risk: carry only what you need. Sign up for RUPD Nixle Alerts. Get to know your Good Neighbor Liaison. Download the My Waste App for trash and recycling information. Keep doors and windows locked. Use light timers when gone for extended periods of time from the home. Pick up FREE window alarms and light timers from Off-Campus Living and Community Partnerships. Keep all valuables out of your vehicle. Check out additional tips here.